Hawktor is a hawk-like Bakugan from Neathia and is Shun's Guardian Bakugan after Skyress and Ingram in Bakugan: Gundalian Invaders. Hawktor partners with Shun of the Bakugan Battle Brawlers. He is a proud Bakugan with a strong sense of justice. Quick and agile, he displays unrivaled strength in aerial combat. Resourceful and intellectual, Hawktor's eyesight is very hawk-like. His main Battle Gear is Swayther. 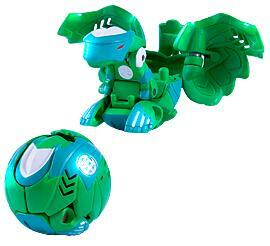 Purchase your Hawktor Bakugan from Amazon now!